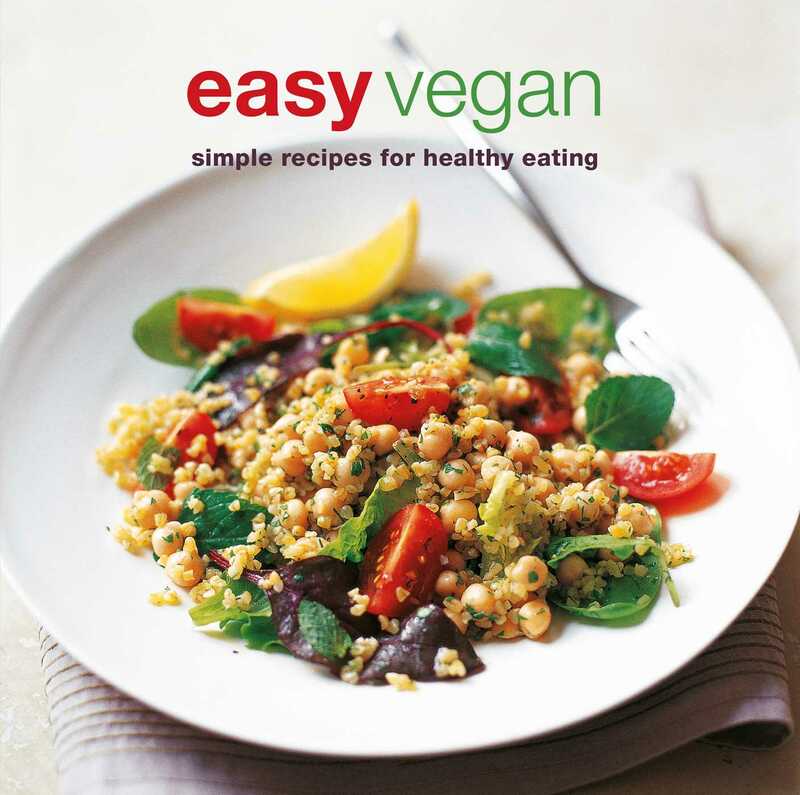 Easy Vegan is packed with more than 100 easy recipes for exciting and nutritious recipes perfect for anyone who chooses to follow a meat- and dairy-free diet. Hearty and warming soups include Butternut Squash with Allspice and Toasted Pine Nuts, plus lighter choices for summer such as Zucchini, Fava Bean, and Lemon Broth. Try delicious Snacks and Light Meals such as Hot Red Pepper and Walnut Dip; Lentil, Carrot, and Cilantro Pâté; Sesame Potato Wedges with Peanut Dipping Sauce; and Vegetable Potsticker Dumplings with Citrus Dipping Sauce. Satisfying Salads to enjoy include Tabbouleh with Chickpeas and Spring Greens; Spicy Cauliflower and Swiss Chard Salad; and Fennel and Orange Salad with Black Olives. Filling Hot Dishes to savor are Stir-fried Tofu with Crisp Greens and Mushrooms; Barley Risotto with Radicchio; and Creamy Vegetable and Cashew Nut Curry with Coconut Milk. Sweet Things are a must—choose from Tropical Fruits in Lime and Chile Syrup; Rhubarb and Apple Crumble; and Cherry and Hazelnut Oat Cookies. Finally, Drinks include nutritious yet delicious concoctions such as Vitamin C Boost Juice; Pineapple and Passionfruit Soy Shake; Peanut and Carob Smoothie, and Date, Banana, and Rice Milk Frappé.